Since many years the famous Black Yeti mascot of the World Rookie Tour supports the best snowboarders of the world: Now it’s the freeskiers’ turn! 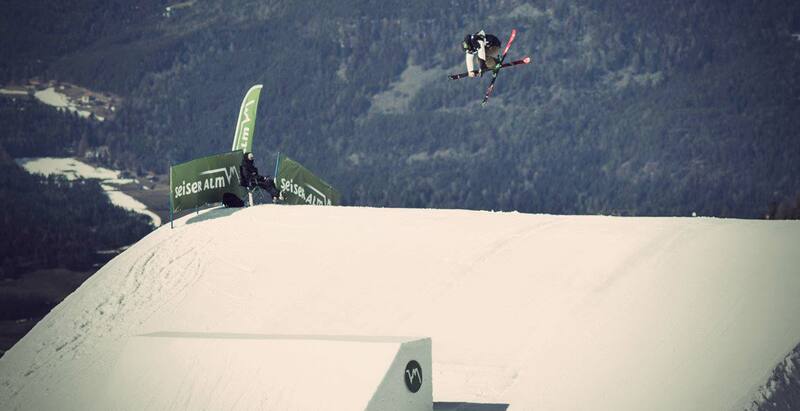 As official partners to the World Rookie Tour, TSG are proud to support and invest in the future stars of snow sports. So we are absolutely stoked that the World Rookie Tour, a proven platform for rookie snowboarders to make the leap to the pro ranks, is expanding to include Freeskiers with the announcement of the 2019 World Rookie Tour Freeski. If you dream is to become a professional freeskier, then your future starts from the World Rookie Tour! The 2019 World Rookie Tour Freeski will feature qualification events in the United States but also many stops in Europe. 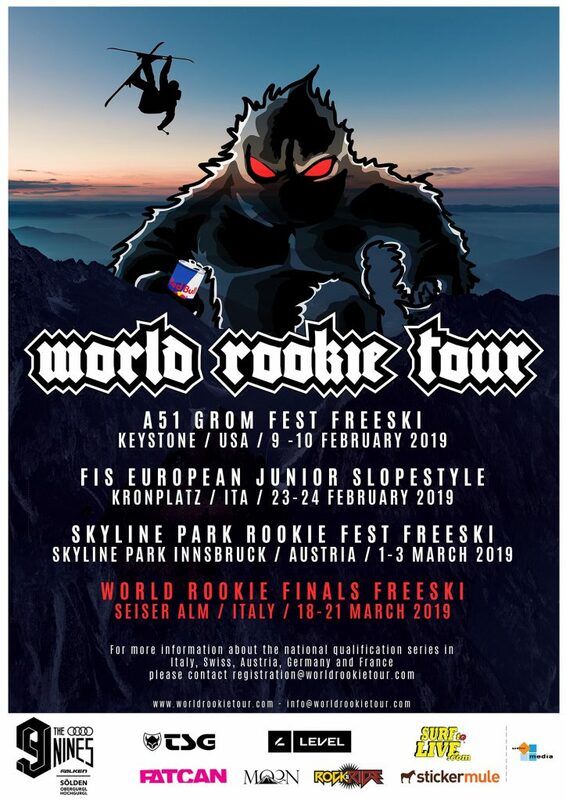 The best WRT freeskiers will participate to the World Rookie Finals Freeski in Seiser Alm – Alpe di Siusi, Italy, from March the 18th until March the 21th 2019, on the same slopestyle facility of the FIS World Cup. This same location will host the World Rookie Finals Freeski until 2021. The best freeskiiers of the finals will receive fantastic prizes from the sponsors. The Champions of the Tour will win an amazing prize bundle of a surf trip to Santander, invitations to the Rookie Trip in the Southern Hemisphere as well as the World Rookie Tour Shooting and last but not least they will be invited to join to the legendary Audi Nines event, which will be held in Solden, Obergurgl-Hochgurgl, Austria, from April the 22nd to April the 27th 2019. The World Rookie Tour represents a unique opportunity to start the professional carrier in the action sports field. Many of today snowboard stars started their carrier at the WRT events, and now this opportunity is also given to young freeskiers: winning the World Rookie Finals is the only way for a talented youngster to get a spot in the legendary Audi Nines and receive other incredible prizes. Other qualifications events and series in Europe, North and South America, Oceania and Asia to be announced. Make sure to check https://www.worldrookietour.com for any updates.